Easter is right around the corner! We are excited to once again offer our Easter brunch. 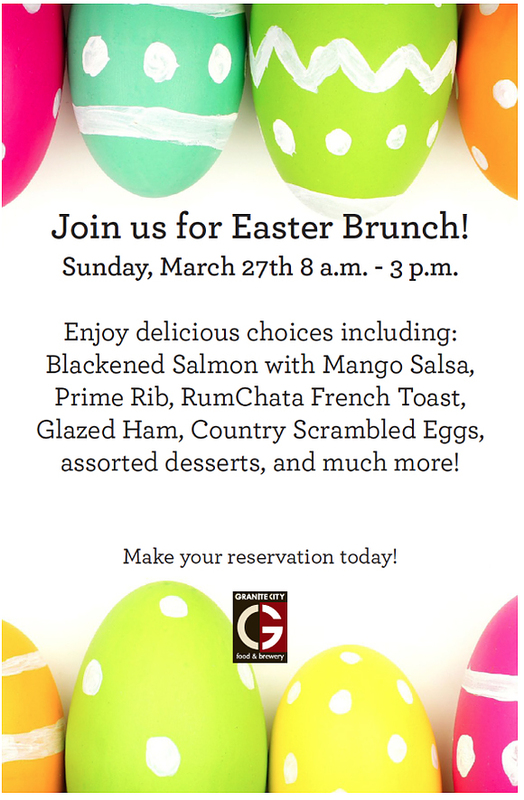 Some of our Chef prepared features include: Blackened Salmon with Mango Salsa, Prime Rib, RumChata French Toast, Glazed Ham, Country Scrambled Eggs, assorted desserts, and much more! Make your reservation today.